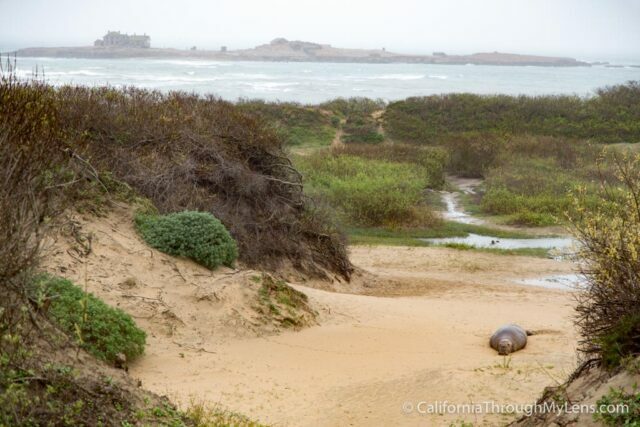 While driving along Pacific Coast Highway you will have a lot of opportunities to see elephant seals, such as in San Simeon and Point Reyes, but for the best up close and personal viewing, I would recommend Ano Nuevo State Park. 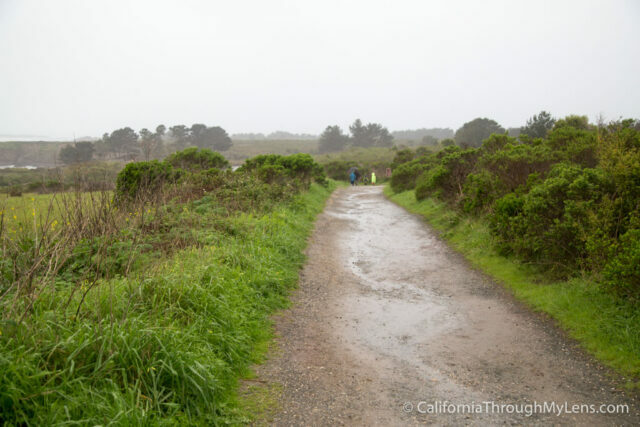 This park, located 30 minutes north of Santa Cruz, features miles of trails that let you see elephant seals in their natural habitat and not from a viewing platform. 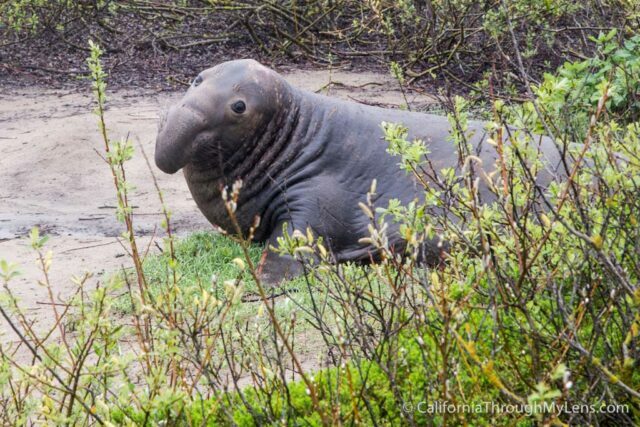 For me, it felt a little like a safari but for elephant seals, as you never knew what you would see when you crossed over the next dune. Here is all the information. 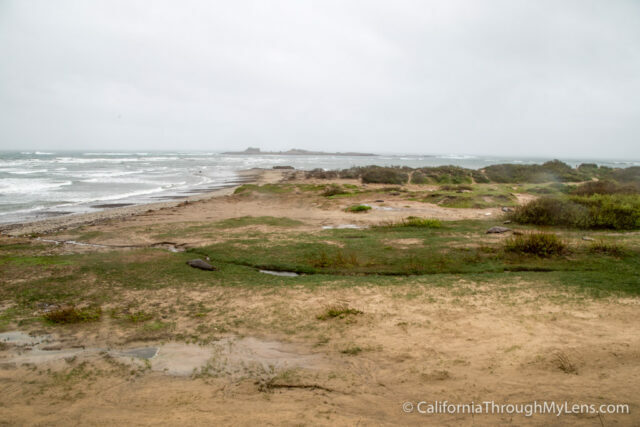 You can find Ano Nuevo State Park along Pacific Coast Highway; it has a sign, so it is hard to miss. Head north from Santa Cruz past Davenport and you will see it. 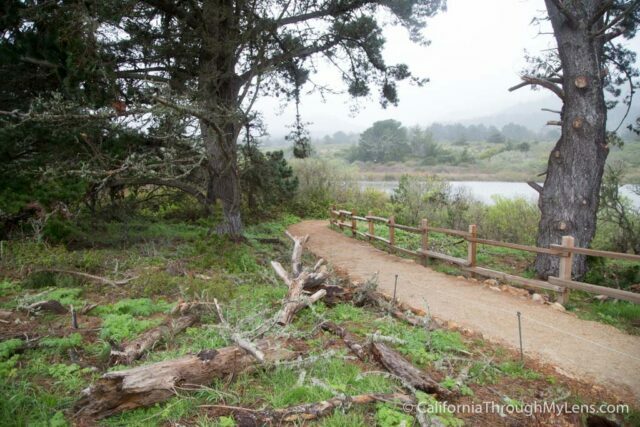 Summer – During the summer, you can hike the trail at your own pace and without a group. There are fewer seals to see, and there are docents that watch key areas so that you do not get too close to the seals. 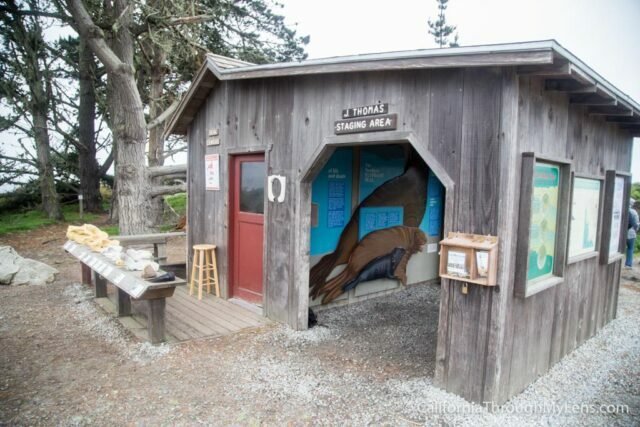 It is a fun place to bring a picnic lunch, hike out to the seals, then just enjoy watching them interact with each other. Winter – During the winter, there are tons of seals here giving birth and nursing their young (it is closed for most of the month of December). Because of that, you are not able to go out to their area without being part of a tour. 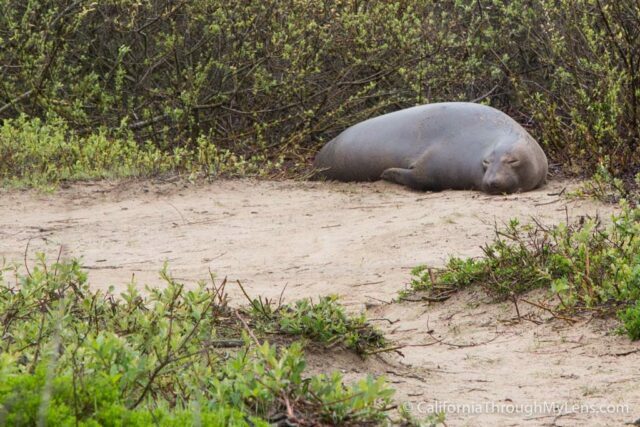 The tours are about 2.5 hours long and they take you on the 3-mile round-trip hike to the elephant seals. The tour is what I did, so the information in this post is based on being on a tour. After arriving at the park, I was able to get on the last tour of the day, which was 2:45 PM. It cost $10 to enter the park and then $7 for the tour. I was early, so I headed over to Pie Ranch across the street for a slice of pie (excellent) then headed back into the park to wait for my tour. 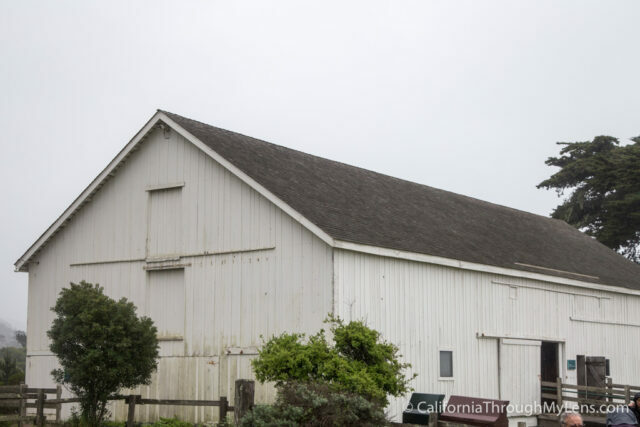 The tours start from the visitors center which is a great old farmhouse building and which has a lot of information about the elephant seals. 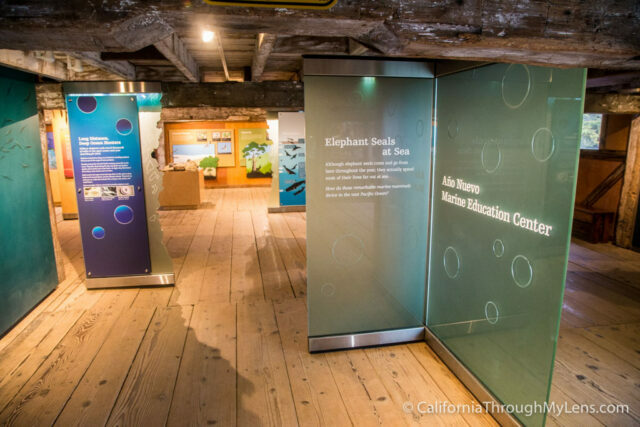 In the visitors center, I learned that over 10,000 elephant seals come here during the year. They didn’t use to hang out here because of the grizzly bears but when the bears left they came back. After gathering for the tour, we set out on a mile hike to the small holding building where we met out guide. This hike was beautiful as it hugged the coast and took you over rolling hills and through a small forest. When we met up with our guide, he showed us the skulls of many different animals and how they compared to elephant seals. This lead to an interesting discussion that killed time while we waited for the rest of the group to catch up. Our guide then started us on the trail and stopped us many times on the way to tell people about the seals and their lives. I learned that the seals can swim all the way up to Alaska to feed then come back to this same beach every year to give birth, which is fascinating. The seals themselves can swim down to 2 miles below the surface of the ocean and can stay there for up to 2 hours. 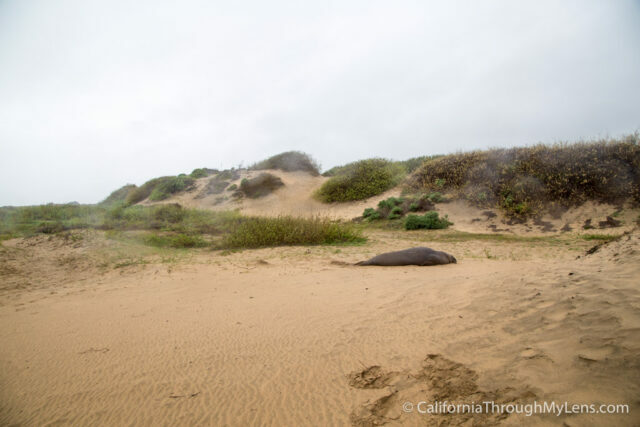 Our tour then finally took us into the elephant seal area, which was a section of sand dunes. The seals were spread out on all of the dunes, and you could easily see hundreds of them by just scanning the horizon. For the next 45 minutes, the tour took us around plants, up and over dunes while we searched for these unique creatures. 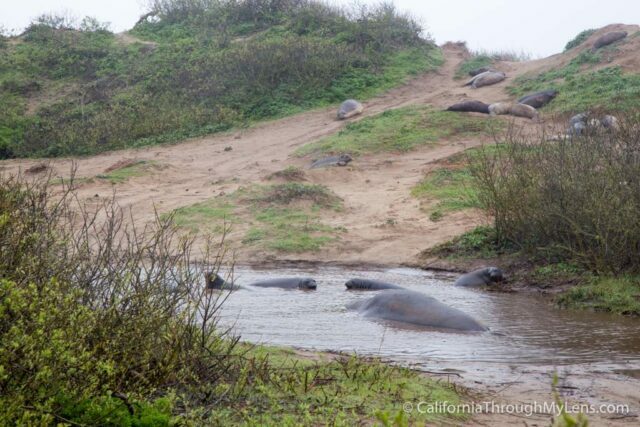 It was a lot of fun as it was a safari-like experience where we paused to see seals and tried not to disturb them. 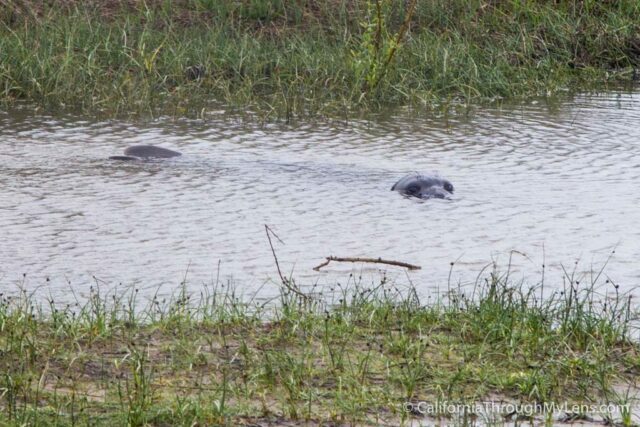 The young seals were even practicing their swimming in some of the small ponds around the area as well which was fun to see. After exploring for a while with our guide, we headed back out of the dunes and made our way back to the visitors center. I do wish I would have been able to go in the summer when I could have explored at my own pace, but the winter is still a fantastic time to visit this park and see these animals. 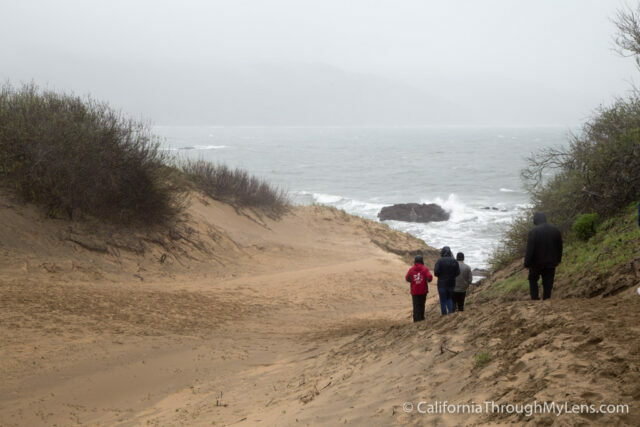 I highly recommend you carve out some time to visit Ano Nuevo; it is truly a unique California experience and one that you will not forget.